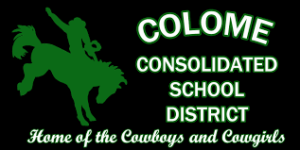 A lot of public opinion was expressed at a meeting Thursday night to discuss plans for a new middle/school high school in Colome. The Colome Consolidated School Board held the meeting with about 120 people attending. In addition to school board members, speaking at the meeting were Jeff Nelson of Falls Architecture Studio, Sioux Falls and Adam Houdeshell and Jason Brown of Summit Construction of Platte. The estimated cost of a new school is $2.5 million. The school board has discussed using capital outlay money and some financing to pay for the school. There will be no tax increase or bond to build the school. Some community members asked if it was possible to have a bond issue and use a smaller percentage of the capital outlay funds. Thieman added that he felt coming out of this meeting the community wants this taken to a public vote. Thieman says he plans to recommend this process at the April 9 school board meeting. The board chairman said a recommendation was made that two community members be named to the school board building committee. The community members were named at Monday’s meeting. The school board building committee is made up of Thieman, Justin Heath and Brent Gill. The current high school is 100 years old and is in need of lot of repair.